For international tourists arriving via KLIA2, don't worry about getting your currency exchanged. Many banks have set up their operation at the arrival and departure hall of KLIA2 to provide money changing service at your convenience. US Dollar, Thai Baht, Singapore Dollar, Australian Dollar, Indonesia Rupiah, India Rupee, China Renminbi, Korea Won, Japanese Yen, Euro, Great Britain Pound and all other major currencies are very well accepted here. CIMB Bank, Maybank and AMBank has already set up their currency exchange outlet at KLIA2. 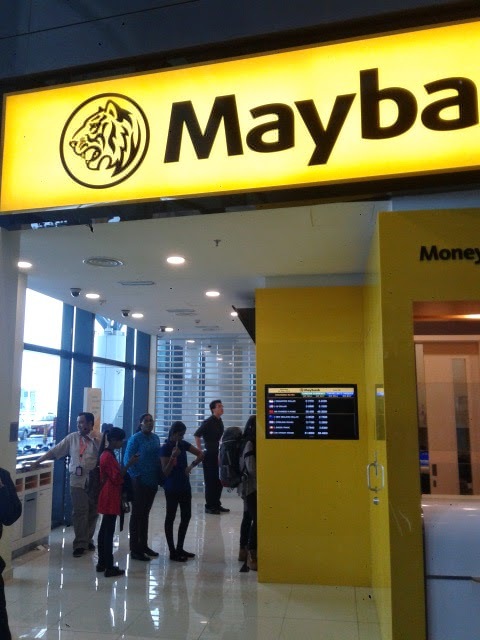 At the departure hall at Level 3, you can find Maybank and AMBank. CIMB is located at the arrival hall at Level 2. Changing your currency at these banks is very safe. 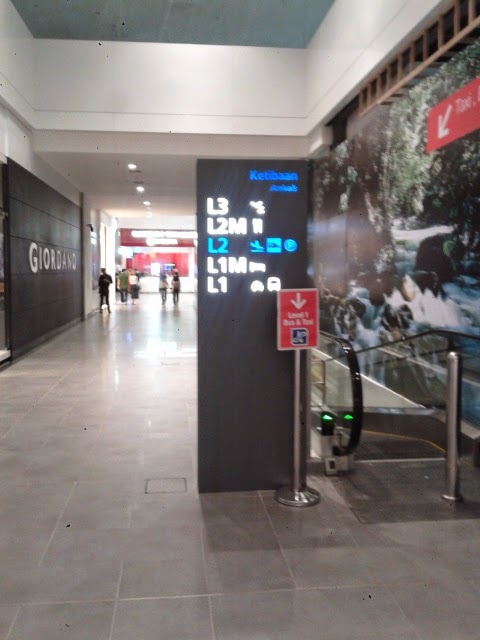 They display the exchange rate clearly on the screen in front of their outlets. 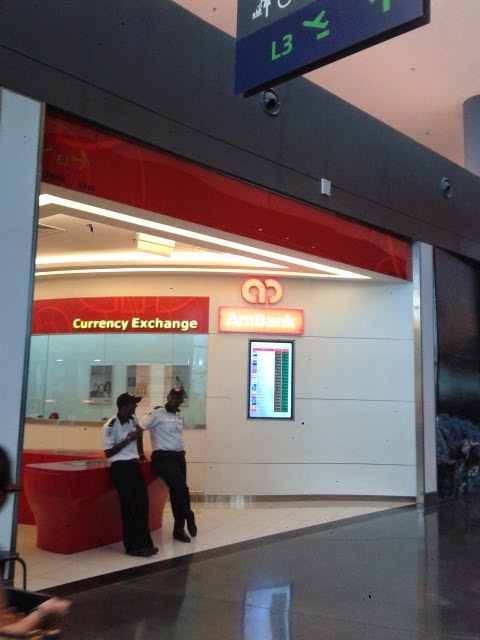 Ambank Currency Exchange at KLIA2 is just a few shops away from Maybank at the departure hall at Level 3. CIMB Money Changer is located at Level 2 of KLIA2, at the far right end when you come out from the arrival, next to Giordano. The currency exchange rates at KLIA2 money changers are generally competitive to each other. Of course, each money changer will have better rates for certain currency compared to the other. Having said that, the exchange rates here may not be the cheapest in town. You can probably get better rates from money changer at Kuala Lumpur Sentral Station or Mid Valley Megamall in down town Kuala Lumpur. 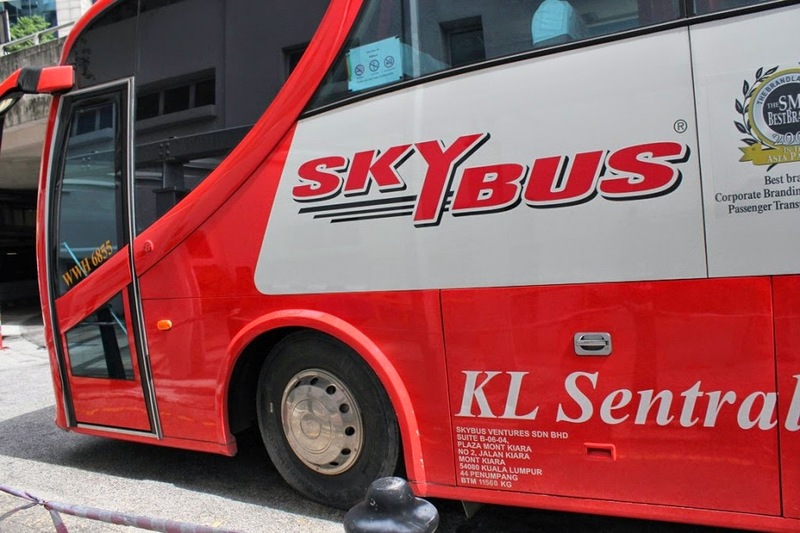 However, the difference will be very small if you just want to get a hundred or two hundred Ringgit Malaysia for your expenses at the airport such as food, souvenirs, KLIA Express ticket or taxi from KLIA2. In terms of safety, changing money at KLIA2 money changers is also very safe (you won't get robbed or cheated). What is the office hours? if I go by morning 6am, Are there is opening there? Hello Glen Kong, Most of the money changers at KLIA2 open 24 hours. do they charge any commission for the exchange? if yes, how much ? No, they do not any charge commission. They earn from the spread difference in buying and selling price. Yes, they do. There are a few money changers at KLIA2. You can compare the exchange rates displayed outside their shops to find the best rates (the exchange rates change everyday). Generally, currency notes in good conditions are well accepted. I shall be traveling to KLIA2 as a tourist on 19 march 2016. Will i be able to change INR to MYR? if so, please provide details of the money changer. What is the operating time ? Most money changers at KLIA2 is operating 24 hours. do they exchange philippine peso to malaysian ringgit? Yes money changers at KLIA2 do exchange Philippine Peso to Malaysian Ringgit. Hi, i want to apply as foreign exchange teller. Where the submission of cv? Do money changers accept travel cards at KL airport? I am travelling from India to Bali with a 3 hour layover at KL airport! I have USD in my travel card, can they swipe my travel card and give me USD I want? I am not sure about this. I suppose it depends on the type of travel card you have. There are ATM machines that accept international credit cards at KL Airport but they mostly dispense local currency notes which is Malaysian Ringgit. Hi, have they open on public holiday? Yes, money changers at KLIA2 are open 365 days. Hello, do the money changers at KLIA2 accept malaysia credit cards? Yes, I believe some of them do accept Malaysian credit cards. Just ask around to find the right one. Hi, do they exchange Saudi Riyals to Malaysian ringgit? And another thing, I have to catch a flight for Langkawi after landing KLIA, is it easy to get your money exchange within 3 hour interval? Do they exchange Saudi Riyal to Malaysian ringgit? Another thing, is it easy to get money exchange withing 3 hours gap between flights. Actually, I have connected flight from KLIA to Langkawi, meanwhile I have to pass through immigration and go to local terminal to take connections. Yes, you can change Saudi Riyal to Malaysian Ringgit. There are many money changers in KLIA2. I think you will have enough time to exchange money during the 3 hour transit. Hello sir . Can I change money Ghana cedi 5000 to money MYR Malaysia ? You can try to ask the money changers at KLIA2 but I believe it will be easier if you have US Dollar with you. Do they exchange Phil Peso to MYR? Yes, you can exchange Peso to Ringgit Malaysia. I want to excahnge indian currency 16000 can i do it today? Yes you can exchange Indian Rupee at KLIA2 money changers. R they exchanging 500 and 1000 notes now? If you only want to buy KLIA Express ticket, you can use your credit card / debit card to do so at the ticket counter or the ticketing machine rather than exchange SGD to RM at KLIA money changer. Can i still exchange India rupee 500 & 1000 to Malaysia ringgit? 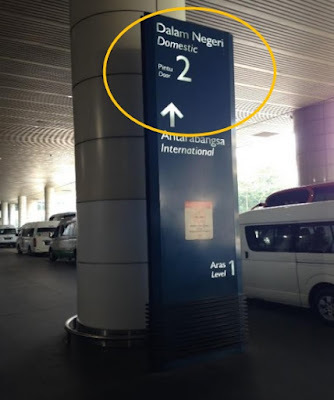 Hi, can I change Vietnamese Dong (VND) to Malaysian Ringgit (MYR) in KLIA2? Hi,can i change my malaysian ringgit(myr) to iraq dinar(iqd) at klia2 ?? Any of them accept Russian ruble? hi..i want ask about canada money..i have the old canada money means paper..thats can change to malaysia money also.. I need 1000 RM. How much Indian Rupee I have to pay now? Can i change ghanaian cedis to myr?